The day many have longed for has come…the Galaxy Note 2 will be available for purchase through Verizon Wireless starting tomorrow, November 29th. If you’re jonesing for the largest, most powerful smartphone/tablet/phablet on the market with LTE on board, wait no more. Pricing will likely depend on whether or not you on on or off contract, but with a new 2 year agreement you can pick this one up at Big Red’s stores for $299. As Mr. Plunkett has already made his purchase, expect an in-depth review of this magical device coming soon from the Two Tech Geeks! The Nexus 7 has it all; a quad-core Tegra 3 processor, a 1280 x 800 IPS LCD display, 1GB of RAM and 16GB or 32GB of internal memory. Better yet, the 16GB version will only set you back $199.99 while the 32GB version goes for $249.99. Sure the iPad mini may be thinner and constructed of nicer materials, but it has an inferior screen and the 16GB iPad Mini costs 65% more than a 16GB Nexus 7. In the smaller tablet market, the Nexus 7 reigns supreme. You’ll get no argument from me here. I recently purchased a Nexus 7, and can’t actually use it because the wife likes it so much. Great materials, great screen, small enough to be portable, but big enough to be useful for things your phone is too small for. In short – its perfect. The iPad 4 is the best large tablet on the market. It has a beautiful 2048 x 1536 (264ppi) screen, a blisteringly fast A6X CPU and a quad-core PowerVR SGX544 GPU that can handle anything you can throw at it. It also has access to the best tablet ecosystem in existence. No other large tablet matches the total package that is the iPad 4. The iPad is the king of the hill in terms of traditional (large) size tablets. The recent refresh of the iPad line includes their new “Lightning” connector, which ends up having the effect of making the device even lighter and thinner than it was before. With “Retina” quality displays, machined aluminum unibody construction, and exceptional battery life, if you’re looking for something in the way of a larger tablet, there’s the iPad…and then there’s everything else. The iPhone 5 has it all. It’s powerful, well designed, has a beautiful screen, a great camera and is among the thinnest and lightest smart phones in existence. The addition of a larger screen and LTE were much needed updates that addressed the shortcomings of the iPhone 4S. 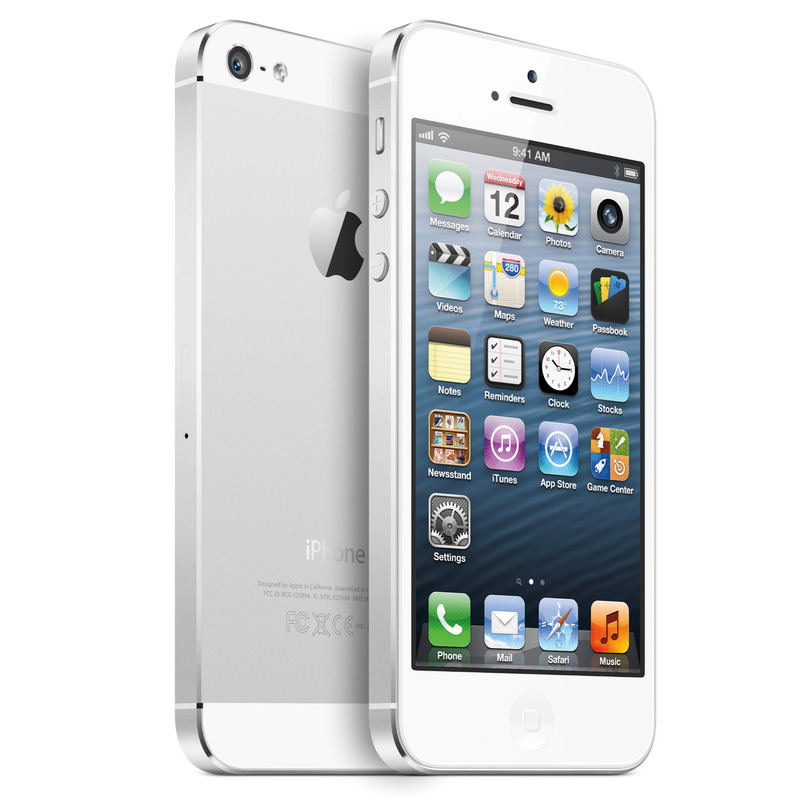 The iPhone 5 is the best smart phone in the 4.3″ or smaller category by a wide margin. While not groundbreaking in terms of innovation, the iPhone 5 is surely the best phone on the market in terms of what it offers for its size. Loads of great features are packed into a form factor that is very similar to the iPhone 4S, but offers up 4 inches of “Retina” screen real estate. The latest version of the iPhone now sports LTE, and Apple claims the battery last just as long as the non-LTE version. While I’ve not had a chance to verify this personally, if true, it’s something of a technological marvel. Many folks I know that own iPhone 5s are very happy with their purchase. Good enough for me. The Note II is my favorite smart phone of the year (mine arrives next week as a matter of fact). It’s what I expected the Galaxy S3 to be. It has a quad-core Exynos 4412 CPU, an overclocked Mali-400 GPU, 2GB of RAM, a 5.5″ RGB Super AMOLED screen, a giant removable battery, an SD card slot, S-Pen and a host of specific software features. The Galaxy S3 announcement was disappointing because of the pentile matrix screen and the U.S. specific dual-core S4 processor. It felt like we were getting a compromised version of what Samsung had intended. The Note II on the other hand feels like the complete vision. The Galaxy S3 is without question the most popular smartphone Samsung has ever produced. With a large bright display, thin and light form factor, excellent camera, and high end specs under the hood, the GS3 is a powerhouse that will probably only be dethroned by the newer version of itself that comes out next year. You can also usually get this phone brand new for bargain basement prices – making the Galaxy S3 an exceptional value for the money. The One-X is the best designed smart phone of the year. HTC is known for quality hardware but with the One-X they outdid themselves. From the sleek one piece polycarbonate body to the beautiful inlaid 4.7″ Super LCD-2 screen, it’s really a piece of art. The white version is particularly gorgeous. From a design standpoint the iPhone 5 is a close second, but nothing beat the One-X this year. What’s this? Shawn recommends an Apple product twice (3 times if you include the iPad) in the same column? Folks, I give credit where credit is due – and the iPhone (since the 4) has been well made with a focus on the design aesthetic. I’m actually going to cheat a little here and say its not the iPhone 5 design and form I truly love, but more the new iPods which share a lot of the same features. The machined aluminum body and chamfered edges really give the device a nice look and feel in the hand. Its lightweight, almost unnaturally so, and presents a clean and polished look to the user. Always minimalist in design, these industrial elements appeal to the lover of beautiful things in me. Few, if any, do this better than Apple. Fast, stable, infinitely tweakable, and its mascot is an angry pink unicorn. What more could you possibly want? Take it from someone who is a self confessed “crack-flasher” of custom ROMs – I’ve tried quite a few out on my Galaxy Nexus, including AOKP, FnV, Bugless Beast, and CM 10. Paradigm gets my vote for the best of the lot. The Jelly Bean version of Paradigm is smooth, stable, and chock full of useful tweaks but isn’t weighed down by extra bloat or mods just for the sake of having mods. It feels like a final finished product each and every time I flash an update. The devs are helpful and their public forum is moderated well and is easy to get answers from. Its the ROM I use as my daily driver…you should too. Multi-Window is just so damn cool. The first time I watched it on video, I was blown away. Larger screens and more powerful processors have made true multi-tasking a reality. This is a feature that Google should start incorporating into future versions of Android starting with Key Lime Pie. While not generally available to all phones running Android just yet, Photosphere gets my vote as the absolute coolest new software feature. The Android camera software was long in need of an upgrade, and boy is that what we got. Using the same technology that Google employs in their “Street View” Maps app, users of Photosphere can take multiple photos of a scene and then stitch them together in something that can only be described as a 3D collage. Its really, really neat, and will have a much bigger following I think as more users move to Android 4.2. The new 5″ 1080p Super-LCD 3 screen in the Droid DNA is the future. Next year a flood of 5″ 1080p phones are going to hit the market including the LG Optimus G2 and the Samsung Galaxy S IV. Whether a 1080p screen in such a small size is worth it versus a 720p screen is debatable, but what isn’t debatable is that packing over 2 million pixels into such a small area is simply incredible. There are a few things in life we just take for granted; the sun will rise in the east, there’s always drama on any show that has the words “Real Housewives” in it, and he who has the fastest processor usually wins. With all the speculation around the Nexus 10, and the hype from the crazy 300 dpi display, don’t overlook the monster that’s driving the whole show – the Exynos 5 CPU. A dual core 1.7GHz beast with A15 architecture will crush anything you throw at it, and then ask for more. The Cortex A15 at a 32nm process makes it twice as fast as the previous generation A9 architecture, while being 30% more power efficient than the A9. This is the same processor chosen by Google to power their new Chromebook laptop…and they put it in a 10 inch tablet. Simply remarkable. I wrote not one, but two pieces expressing my disappointment with Motorola’s new flagship offering. As it turned out, I owed them an apology. Sure the RAZR MAXX HD has a pentile matrix screen, yes it only has half as much RAM as the Samsung Galaxy S III, and Verizon absolutely charges too much for them. But despite all that I find myself recommending the RAZR MAXX HD constantly. It has fantastic build quality, the radios are second to none, and the battery life is INSANE. Amazon wireless only charges $174.99 for a MAXX HD with an upgrade and at that price it’s hard to go wrong. Google and LG have gone to a place with the release of the Nexus 4 that I don’t think that anyone could have foreseen – they’ve released a device, unlocked from a carrier, at a competitive price point. The device itself boasts some of the highest specs of any device on the market, and you can get it for at little as $299. That’s the same price that I paid for my Galaxy Nexus, and I had to sign a 2 year agreement with Verizon just to get it at that cost. If they keep offering great phones at affordable prices, what Google is doing with their partner program is going to eventually revolutionize the mobile smartphone industry. HTC continued to have major problems in 2012. When the One X was unveiled at the beginning of the year it looked like HTC was back on track. The phone was gorgeous. Unfortunately it ended up being an AT&T exclusive and was enveloped by the Samsung Galaxy S III launch across all major carriers a month later. The One X ended up a sales disappointment. The end of the year saw HTC release the One X+ again as an AT&T exclusive, and then the Droid DNA as a Verizon exclusive a few days later. This strategy makes absolutely no sense. HTC should have released the One X across all carriers in May ahead of the Galaxy S III with a major add blitz, and then done the same thing with the DNA this month. HTC needs to ditch the carrier exclusives next year and get their great products out on all carriers, because otherwise they’re doomed to continue losing market share to Samsung. There’s a multitude of things wrong with this whole situation – but in short, 1) patent trolling should never be rewarded or encouraged, and 2) clearly there is something wrong with the U.S. Patent system. When someone can be awarded a patent for “a rectangular smartphone with rounded edges” then we need to rethink our position on what “innovation” really is. Instead of fewer lawsuits because of cases like this, I think we’re going to see more. After some “issues” on launch day with getting the Nexus 4 phone sold to as many people who wanted it, Google has indicated that the new Android flagship phone from Google and LG is now back stock and will go back on sale to the consumer at noon Pacific time. If you are an AT&T or T-Mobile customer and are in the market for a new Android device, this might be right up your alley. For detailed specs on pricing and the device, go here. For a link to the Google Play to buy this unlocked bad boy, go here. According to the good folks over at Digitimes, the face of mobile computing is going to undertake a radical shift in the next year, with tablet sales predicted to outpace notebook PC sales for the first time ever. 210 million units are estimated to be sold in 2013, which is surely a significant enough number for OEMs to sit up and take notice. Predictably, Apple’s iPad will be the forecast top hardware seller, with Google’s Android OS to be the top operating system sold. As a recent tablet owner, I can speak for its usefulness in certain settings, but can I see it replacing what a laptop can do for me? No. Having said that, I think that our lives have been forever changed by things like the iPad and to a lesser extent other tablets like the Nexus 7. The way we act and behave on a daily basis is almost exclusively focused on mobile computing. And those devices that aid us in our quest to always be connected. Sound off in the comments if you have an opinion! When the rumors of Google potentially becoming a wireless carrier themselves broke everywhere on the internet yesterday, of course the world (including yours truly) began to rejoice. But what would it take to make this beautiful dream a reality? The short answer is: a lot. But Michael H. over at Phone Arena has written a pretty good “plain language” opinion piece on this whole process, and some of the potential roadblocks to it actually coming to fruition. See the article here to read up on what hopefully be in our very near future. Well folks…its been a slow news week so far, and with the holidays coming up, it looks like it might stay that way for a while. So in an effort to keep you (the informed tech enthusiast and consumer) update to date with what’s going on out in the world, we’ve decided to have a few more opinion/editorial pieces coming out, as well as a cool Special Feature direct from the Tech Geeks! All of this is just our way of saying that while the “news” portion of the site may dwindle a little bit, please keep checking back with us frequently for more new content! Like the US Post Office, nothing can keep us from making our daily tech rounds of news and views! Wishing everyone a safe holiday season! [News] Nexus 7 sales "better than expected"
Published reports are indicating that Google was surprised (probably pleasantly so) over increased demand for the Nexus 7 tablet. So much so, that they have ordered an additional 2.5 million devices from manufacturer Asus to keep up with sales before the end of 2012. This comes on top of the estimated 2.5 million tablets already sold so far. This comes as no surprise to me…I love everything about this tablet. You can read my review of the Nexus 7 to see my thoughts on this device. While these numbers don’t compare to the number of iPads sold each day, week, or month, demand for the Nexus 7 is growing – indicating a definite need in the market for a 7 inch tablet. Google and Asus have a home run on their hands with this one. According to sources at the Wall Street Journal, Google may be looking to move beyond fiber optics and move directly into the mobile wireless space by becoming a competitor of Verizon, AT&T, Sprint, and T-Mobile. The report indicates that talks of a partnership with Dish Network could result in Google offering wireless services to any and all. The talks are rumored to be very early, and nothing is committed to for now, but if true, this could prove to be a game changer. Google is well known for providing low cost, high quality solutions for free or next-to-free pricing, and as a wireless carrier, I can think of nothing but good things to come from the good folks in Mountain View, California. *UPDATE* Droid-Life is indicating that they have information from a 3rd party source that these talks are more than preliminary, and that Google is “deep into development” and might be targeting a mid-2013 launch for this service. The who, what, where, and when of this new “Google Wireless” is still as yet unknown, but as I said before – this could be a game changer for the industry. Would AT&T or Verizon Wireless see a defection of people leaving for a service that offers reasonably priced smartphones, with a potential for unlimited data/voice plans at below AT&T/Verizon prices? I for one would leave Verizon in a heartbeat, if not sooner. Stay tuned for more details as we come across them. [News] Popular Science names Google Now "Innovation of the Year"
Any Android users out there love Google Now? Hate it? Think its just more ways for the government to get past our tin foil hats to steal our personal info? Personally I don’t think the government cares that much about me or my life, but hey – other folks may feel differently. Sound off how you feel in the comments! According to FierceWireless, Apple’s CEO is the most powerful person in the wireless game today. The website released their list of the Top 25 Most Powerful People in U.S. Wireless 2012, and Cook heads the list. This probably won’t come as a shock to many folks considering the success of products like the iPhone 5 and updated iPad. Other folks on the list include Larry Page of Google, Lowell McAdam of Verizon Wireless, and Dan Hesse of Sprint. For the entire list, which is an interesting read, go here.